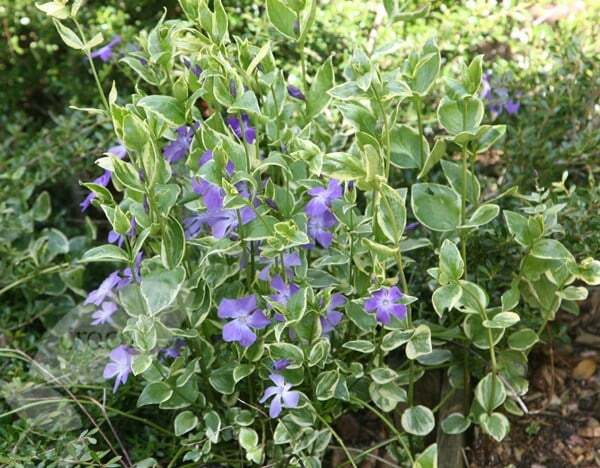 Large, blue-violet or dark violet flowers on arching shoots from April to September and dark green leaves with creamy-white margins. 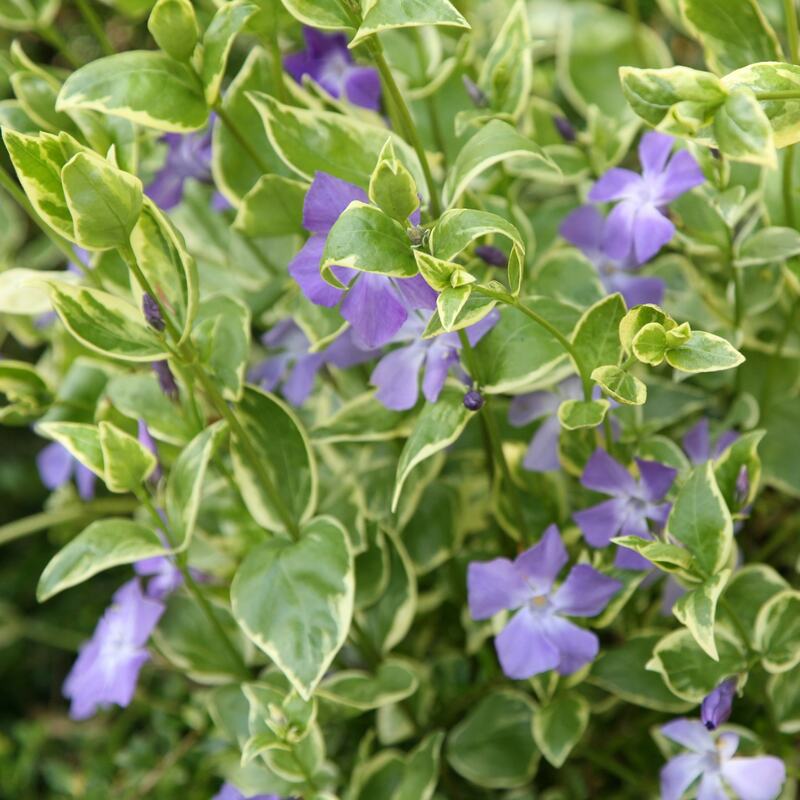 This vigorous, variegated, evergreen shrub is attractive groundcover for large expanses of ground. Flowering best in full sun, it's a useful low-maintenance choice for sloping banks that are hard to mow. I was very pleased with the look of these plants when arrived. I planted the two together for ground cover in damp shady place in the garden, and now they look just perfect. Very pleased with the delivery and plants. I would recommend them. I have put these in a raised bed by a garden wall, in a shady area, where they are thriving. They flower twice a year. I trim over-long strands as necessary.